Amber Stevenson passed her driving test today 27th July at Bangor Driving Test Centre. 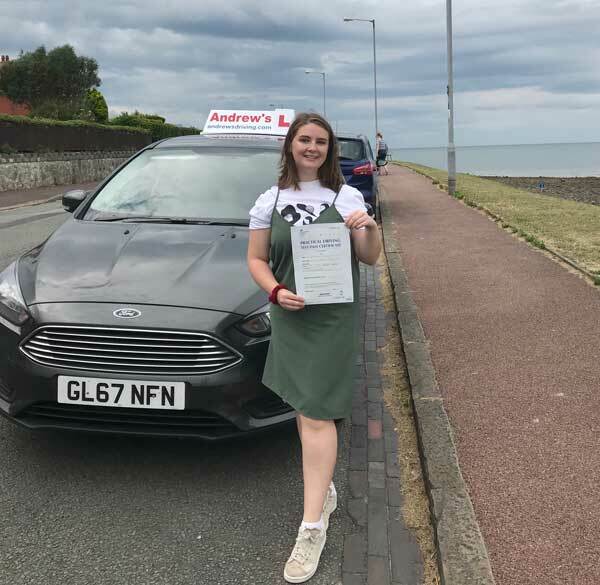 Amber from Rhos on Sea near Colwyn Bay passed after a course of driving lessons with Andrew’s Driving School. Call us now to book your lessons in North Wales, we cover Holyhead, Prestatyn, Rhyl, LLandudno Abergele, Colwyn Bay and Penmaenmawr.